Indo-Pakistani relations have suffered a new setback ahead of External Affairs Minister SM Krishna’s official visit to Pakistan early next month (September 7-9). The new rupture is a result of the bulk SMS messages that have created panic in India’s northwest regions causing a mass exodus of people to different states. 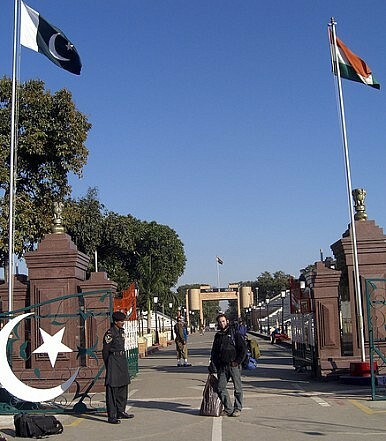 India claims that the social media attacks originated in Pakistan, a charge that Islamabad has denied. On Sunday Indian Home Minister Sushil Kumar Shinde took up the matter with his Pakistani counterpart, Rehman Malik, during a phone conversation that marked the two ministers’ first official contact. Shinde expressed concern over the issue of social media-networking sites being misused by elements based in Pakistan to circulate false pictures and stories to provoke communal sentiments in India. Shinde also said that Delhi sought Pakistan’s full cooperation in neutralizing such elements. For his part, Malik said Pakistan will cooperate if India provides evidence to prove that these SMS attacks are originating in Islamabad. The two ministers also briefly discussed the pending issues between their ministries. Malik reiterated his commitment to bring the people responsible for the Mumbai terror attack to justice. He also invited Shinde to visit Pakistan to sign the revised Visa agreement, which has now been agreed to by both sides. Indian home secretary RK Singh went on record this weekend in saying that the SMS attacks had originated in Pakistan. “We will raise this issue with Pakistan. I am certain they will decline it but our technical team is certain," Singh had said. The process of normaling relations between India and Pakistan has been a one-step-forward-two-steps-backwards kind of exercise, given the two nuclear-armed neighbors’ deep-seated mutual suspicions and mistrust. It remains to be seen how India will deal with this new issue diplomatically and politically. However, given RK Singh’s public accusation against Pakistan, Krishna’s upcoming visit to Pakistan will likely address more volatile issues. From India’s perspective, the trip was intended to lay the groundwork for Prime Minister Manmohan Singh’s maiden visit to Pakistan later in the year. Thus, Krishna’s visit is being held as an important one even as the SMS incident is being viewed as a setback by Delhi. The killing of Osama bin Laden in Pakistan has prompted overzealous and unhelpful criticism of the country.